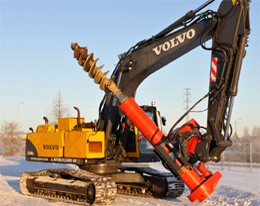 Movax Oy Ltd is a Finnish company which has manufactured excavator mounted equipment since 1993 under registered trademark MOVAX. 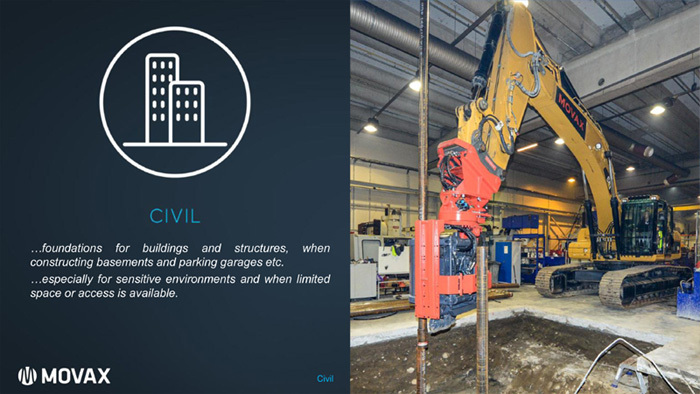 The company’s factory with over 6000 square meters and modern production machinery is located near Finland’s capital city Helsinki. 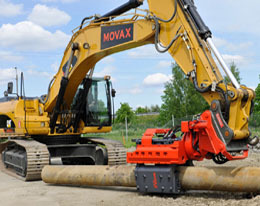 Movax product program consists of excavator mounted side-grip vibratory hammers, tube drivers, impact hammers and soil drills. 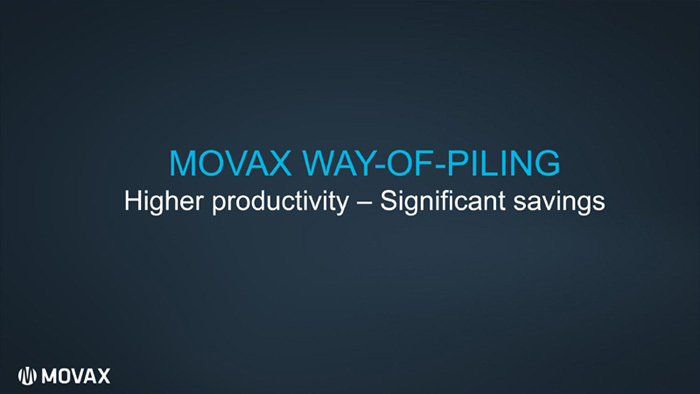 Movax concept offers savings on total investments, multi functionality and higher productivity. 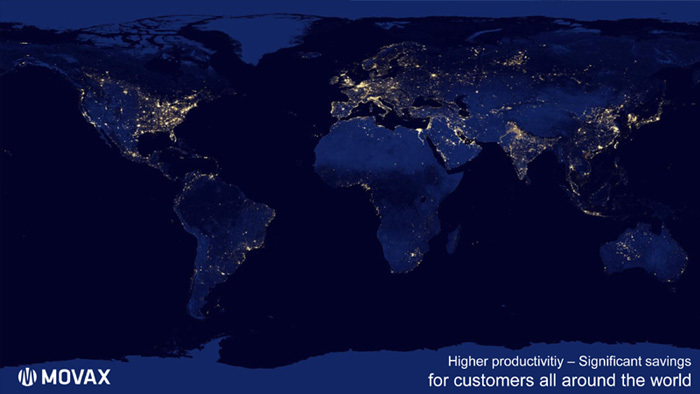 Movax Ltd’s leading idea – “Productivity through Innovation” stands for being well aware of its customers and their needs on jobsites. 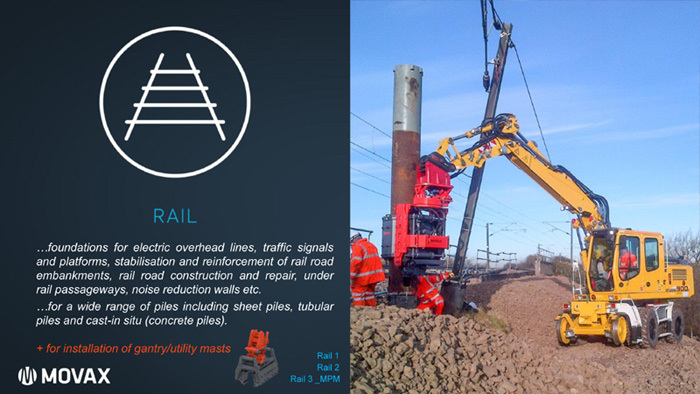 Movax Side-Grip vibratory hammers can be equipped with clamps for tubular steel piles, timber piles, H-piles, sheet piles and more. 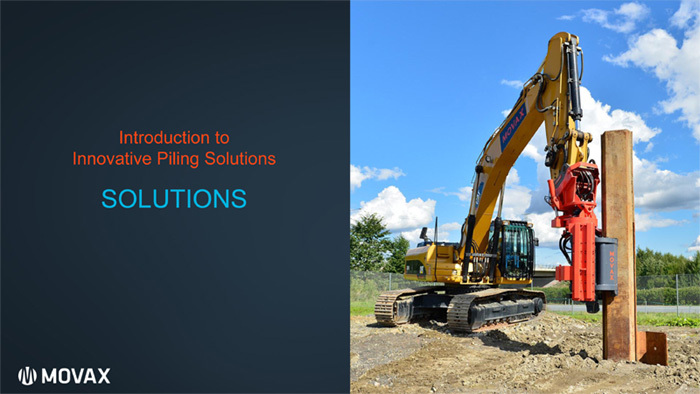 Movax piling hammers are excavator-mounted hammers for driving load-bearing piles or assisting in sheet pile driving in difficult soil conditions. 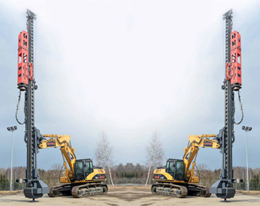 Leader Mast for piling applications with over 12 metres of effective leader length. 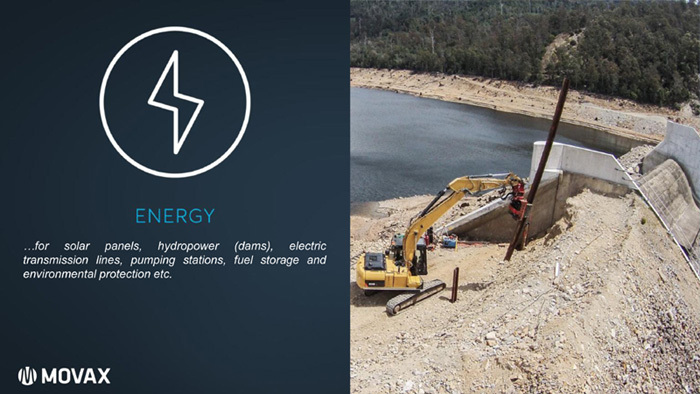 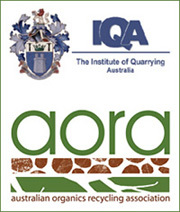 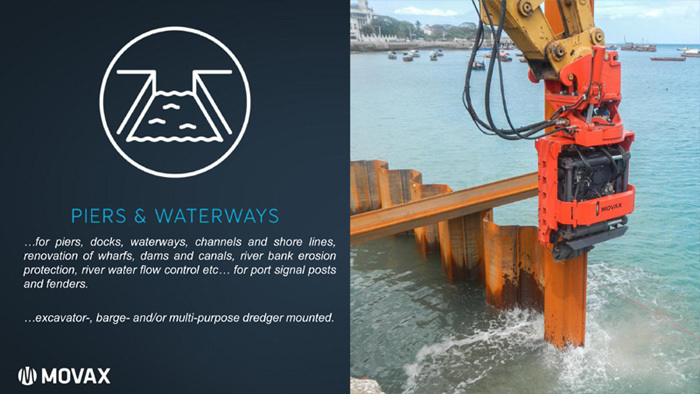 Ideally suited for different type of driven piles, preaugering or different techniques of cast-in situ piles. 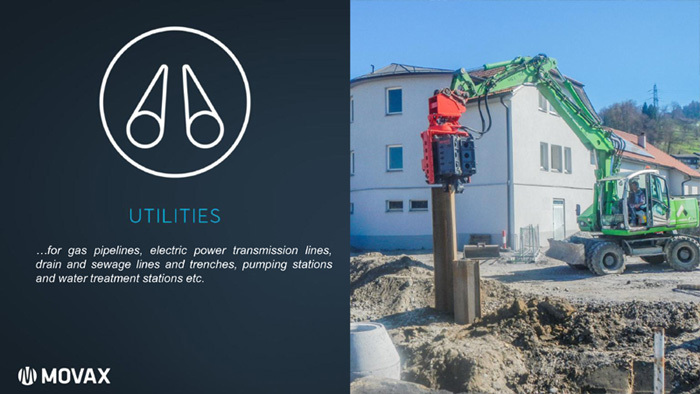 Movax piling equipment can be installed on most of standard excavators with one-way auxiliary hydraulics or breaker circuit as it is often called. 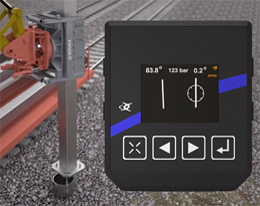 MOVAX manipulators are designed for fast, flexible and efficient handling of masts and poles. 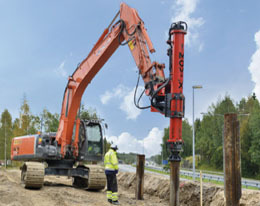 Movax Piling Drills are excavator-mounted auger drive attachments for cast in-situ piling and other earth drilling work. 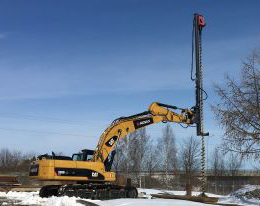 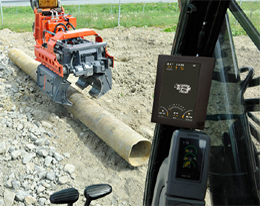 MOVAX pre-augers are the optimum solution for supporting vibratory pile driving (and impact driving) in difficult or demanding soil conditions. 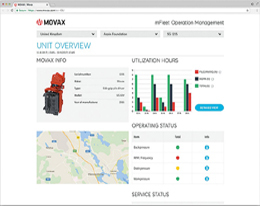 mFLEET Management is a part of the innovative MOVAX INFORMATION MANAGEMENT SYSTEM (MIMS). 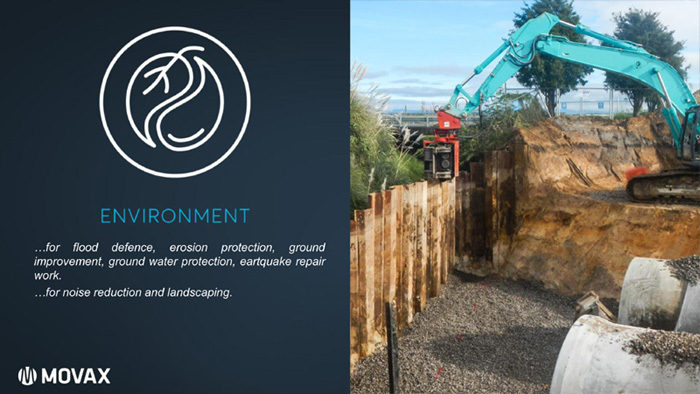 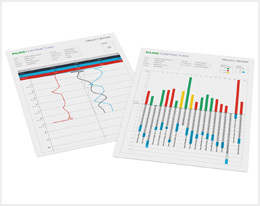 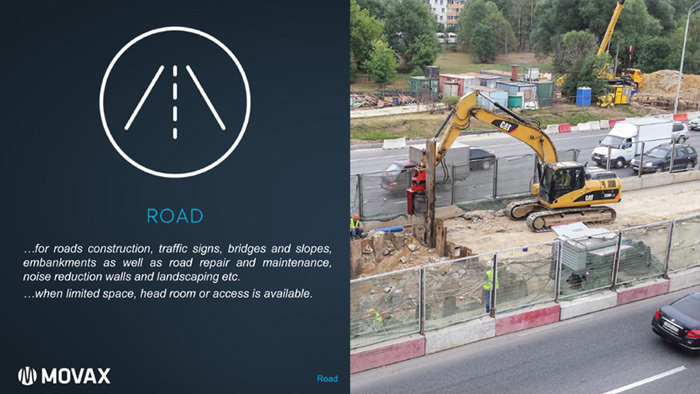 mLogbook, which is the first of the mPiling Management data suite tools, is a documentation and reporting tool which provides essential data related to the piling process.